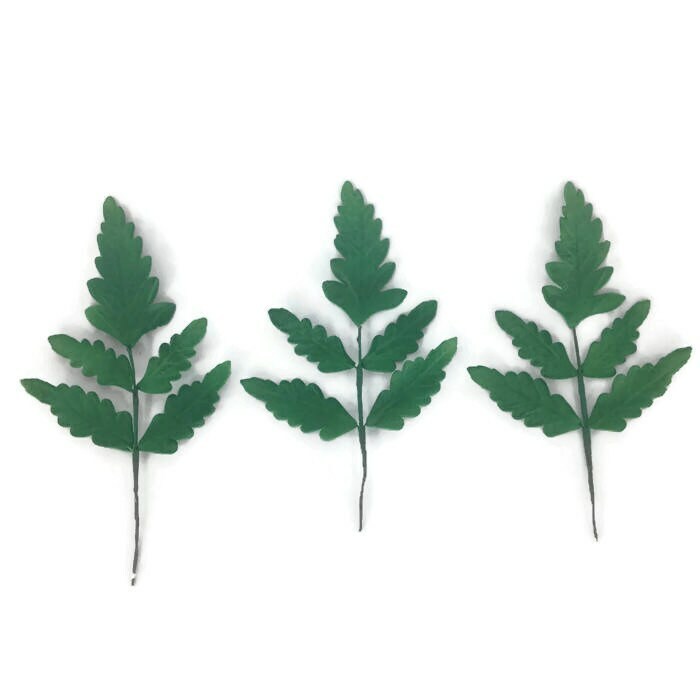 This listing is for 3 large fern leaves, which each contain 5 separate leave. Each leaf is created by hand and veined and painted for a life like look. 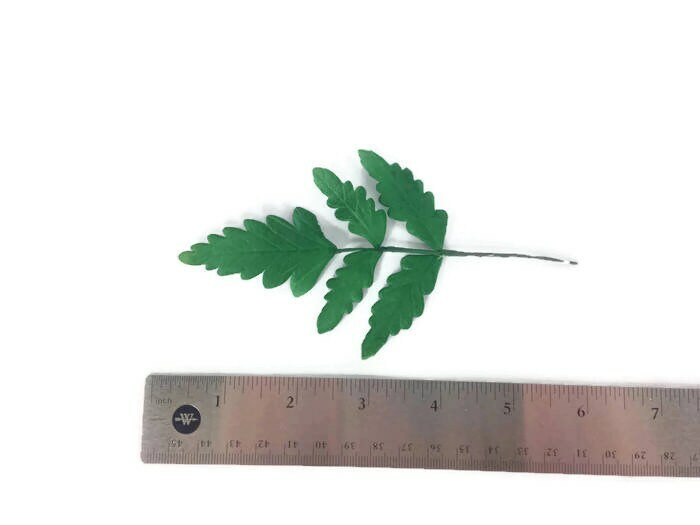 From the top of the fern to the bottom the last leaf, it measures approximately 4" long, with a slightly longer stem. 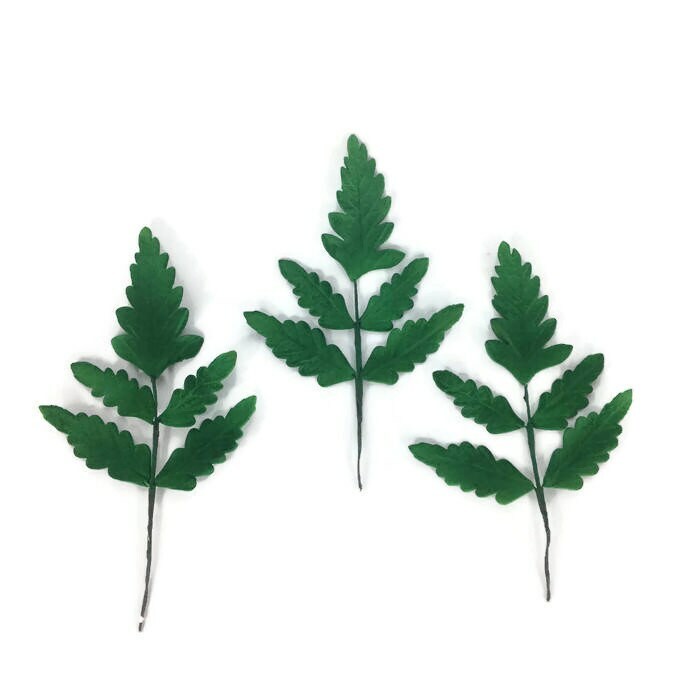 These fern leaves are perfect for adding greenery to your wedding cake floral arrangement. 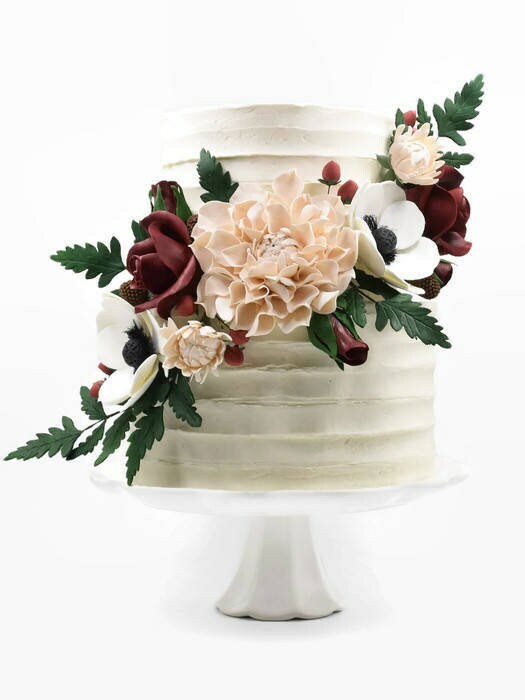 Some style ideas shown include dogwoods and chrysanthemums, although fern leaves would work well with any combination of flowers, buds, and other leaves. 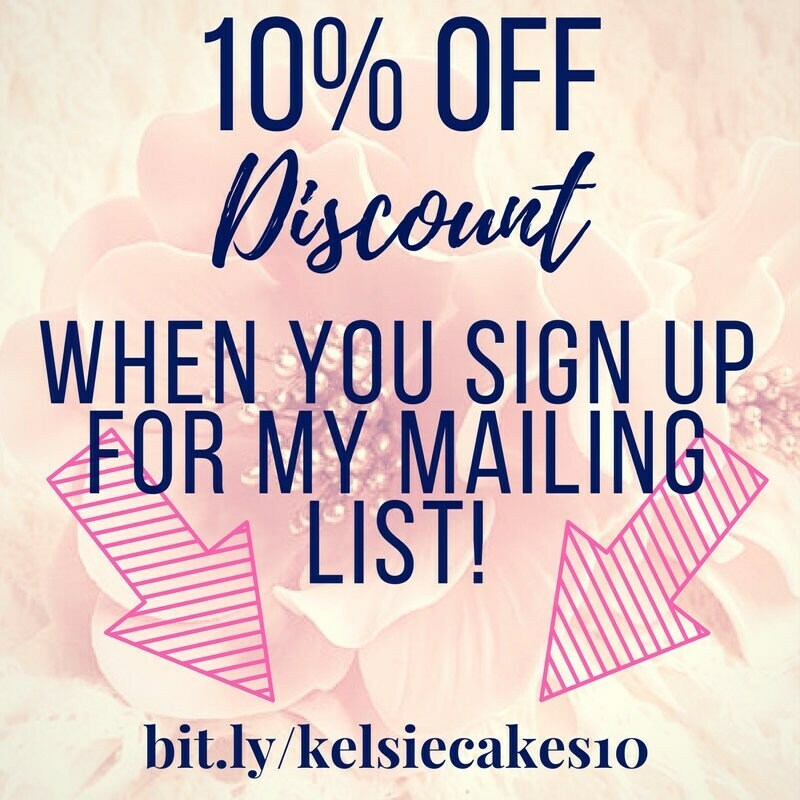 This listing is for dark green leaves, but if you'd rather have white, light green, or another color, I'll be happy to customize them for you. Please note that these flowers are not edible. 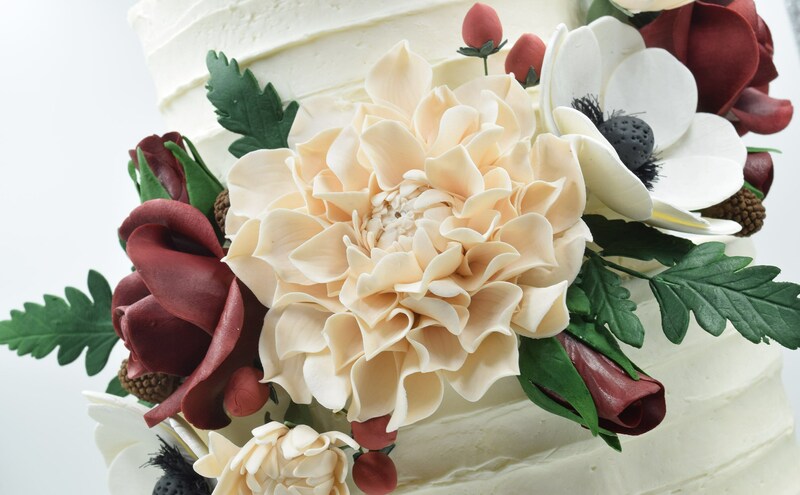 Although these flowers are made with edible materials (gumpaste, sugar, egg whites, and shortening are my main ingredients) they do contain non-edible, nontoxic materials (like wires and floral tape) and are not for consumption.